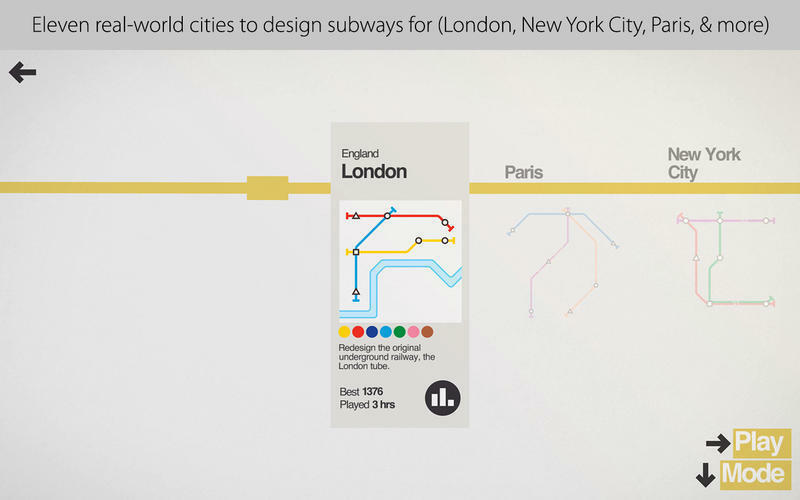 Design the subway layout for a rapidly expanding city. 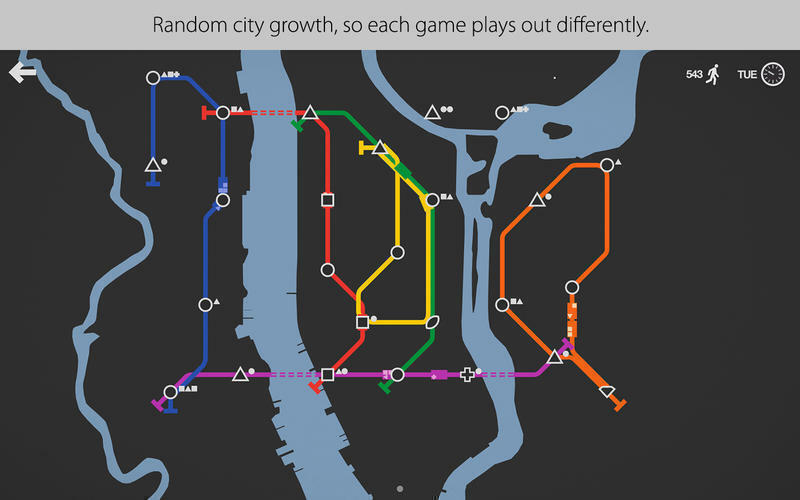 Is there a better alternative to Mini Metro? 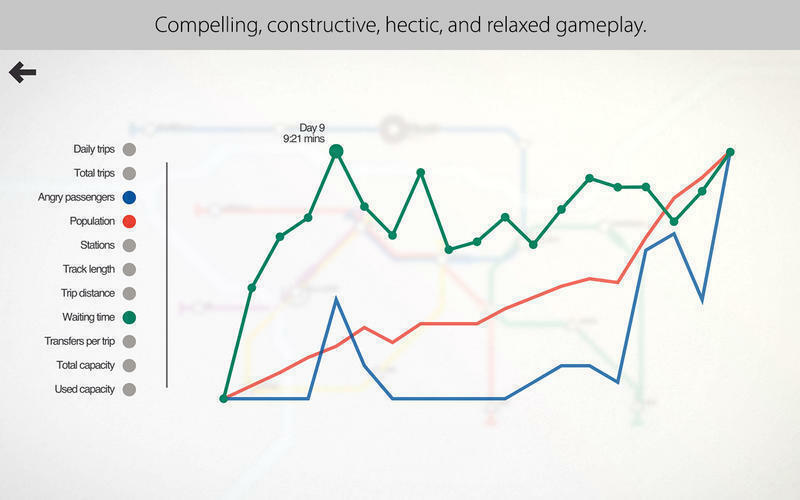 Is Mini Metro really the best app in Simulation category? 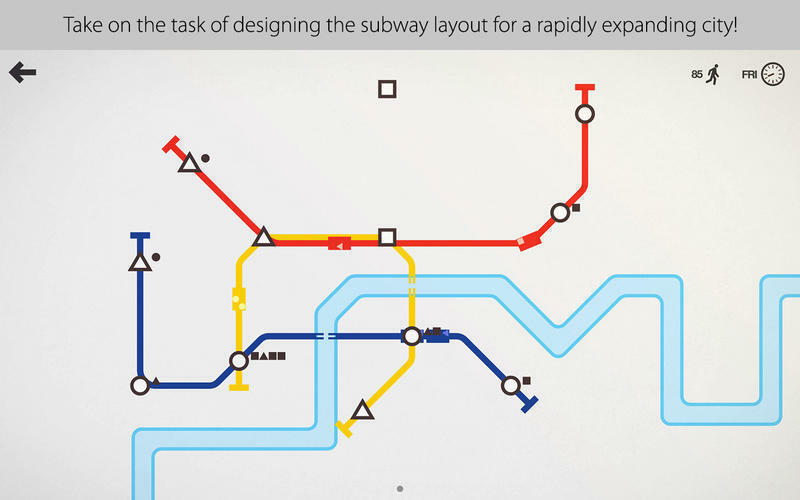 Will Mini Metro work good on macOS 10.13.4? 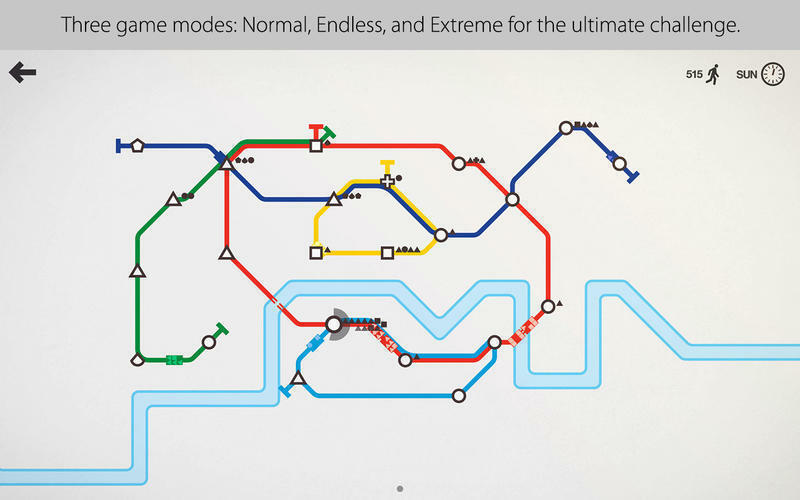 Mini Metro needs a rating. Be the first to rate this app and get the discussion started! The city is growing. More stations are opening, and commuters are appearing faster. The demands on your network are ever-increasing. You'll be constantly redesigning your lines to maximise efficiency. The new assets you earn every week will help immensely - as long as they're used wisely. Eventually your network will fail. Stations will open too quickly. Commuters will crowd the platforms. How long the city keeps moving is up to you.